San Diego producer/DJ ESTA put on one of the best boiler room sets I’ve ever heard…not to weird…not to extreme…not to loud…sampling all types of music. If you got the time definitely listen to the whole thing. This entry was posted in Electronic, Remix and tagged Boiler Room, DJ Set, download, Esta, London, San Diego DJ. Bookmark the permalink. This entry was posted in Chillout, Electronic, Remix and tagged Chet Faker, Remix, Ta-Ku, Talk is Cheap Remix, Tour. Bookmark the permalink. DAMN, SO MUCH GREAT NEW MUSIC CAME OUT THIS WEEK. Listen to Disclosure funky remix of the 2003 single Frontin, that fits Pharrell’s style perfectly and be ready to groove. Also like Disclosure on Facebook as they are offering a free download if they reach 1 million likes. This entry was posted in Dance/Nu Disco, Garage, Remix and tagged diSclosure, Frontin', Jay-Z, Pharrell. Bookmark the permalink. Metic, “an independent producer based in Hong Kong”, did an excellent rework on Dr. Dre and Snoop Dogg’s classic Nuthin’ but a ‘G’ Thang. Perfect way to start off your summer with some mellow guitar vibes mixed in with some gangsta rap. Listen below. This entry was posted in Hip Hop/Rap, Remix and tagged Dr. Dre, Metic, Nuthin but a G Thang, Remix, Rework, Snoop Dogg. Bookmark the permalink. Listen to his edit of Missy Elliot’s “Im Really Hot” Below. And grab the EP while the link is still good off mediafire. This entry was posted in Hip Hop/Rap, Remix and tagged Im Really Hot, Kaytranada, Missy Elliot, Whatever. Bookmark the permalink. Anytime Goldbloc reposts anything on Soundcloud I give it a listen, its always on point. Same goes with this remix of Tinashe’s Vulnerable by Dave Luxe. Give it a listen, and check out the rest of his remixes/refixes pack out for free rolling a milli followers on fb. This entry was posted in Electronic, R&B, Remix and tagged Dave Luxe, Remix, Tinashe. Bookmark the permalink. This entry was posted in Electronic, R&B, Remix. Bookmark the permalink. 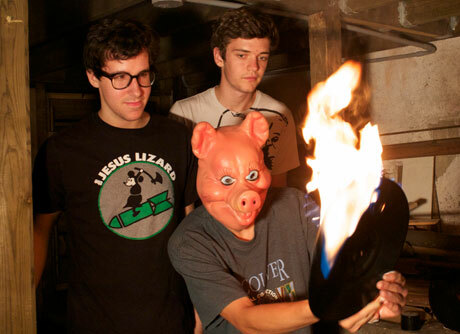 BadBadNotGood (BBNG) is a instrumental jazz trio from Toronto known for their collaborations with Odd Future, particularly Tyler the Creator. They recently released their debut album on May 6th, download it via Itunes, and dropped this stellar remix of Freddie Gibbs and Madlib’s Shame as well which fits perfectly with both of their flows. This entry was posted in Hip Hop/Rap, Remix and tagged BadBadNotGood, Freddie Gibbs, Madlib, Remix, Shame, Tyler the Creator. Bookmark the permalink. This entry was posted in Electronic, Remix and tagged diSclosure, Electronic, Flume, help me lose my mind, mazde. Bookmark the permalink. 20syl back at it again with yet another great TDE remix, this time from Schoolboy Q who recently releases Oxymoron on the 25th. Take it a listen its too dope. This entry was posted in Genres, Hip Hop/Rap, Remix and tagged 20syl, Hip Hop, Hip Hop remixes, Rapfix Cypher, Remixes, Schoolboy Q, The Purge. Bookmark the permalink.